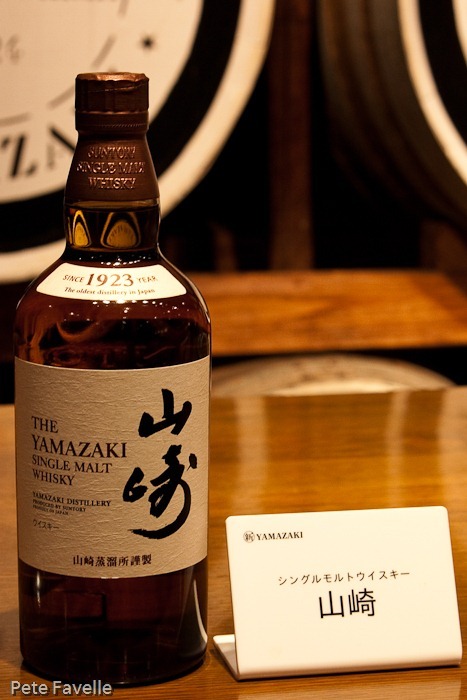 Yamazaki is one of Suntory’s two distilleries in Japan and is described as “the birthplace of Japanese whisky”. 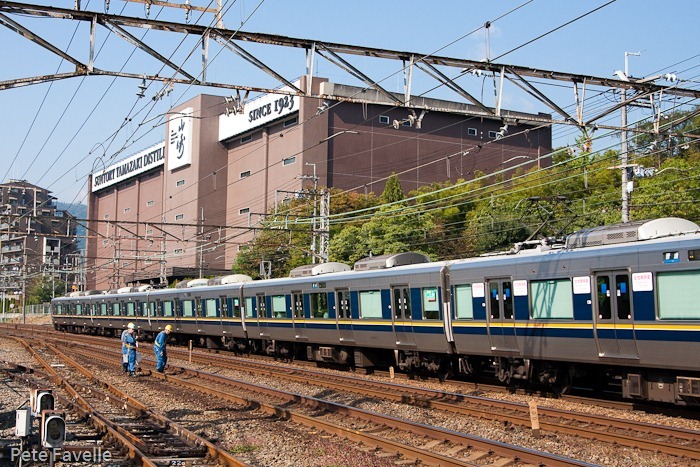 It was impossible to resist a visit when we were staying a few nights in Kyoto, just a short train ride away. 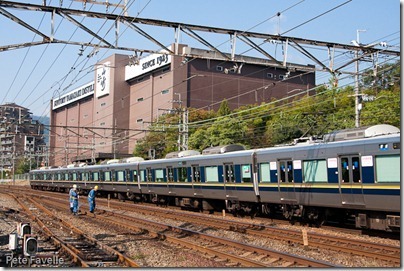 As you can see, it’s quite easy to get to by train! It’s perhaps not the prettiest distillery I’ve ever seen – it has a very industrial feel to the outside – but it’s what goes on inside that really counts. The tour itself is free, and takes you around the entire plant, from mash room via the still house and all the way to the warehouse. Although it’s (quite reasonably) guided in Japanese, there are audio guides for those of us who are linguistically challenged. 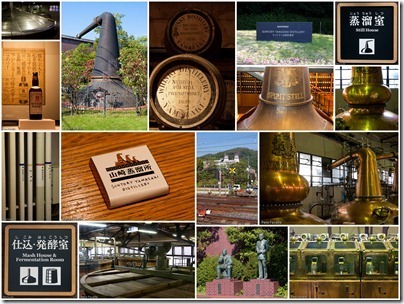 In many ways, all distilleries look similar – they do, after all, have the same basic job to do. Even the spirit safe (bottom right in the collage above) wouldn’t look out of place on a windy Scottish island. A couple of things stand out though. Firstly, their mash tun (top left) is the biggest tun I’ve ever seen – and I’ve been in some pretty big, million-pint-a-week breweries. It’s so big I can’t even fit it all into the photo! Secondly, they have the weirdest collection of stills. The shape of the still is believed to have a big affect on the flavour of the resulting spirit. Although a lot of this is folklore and superstition, distilleries seem to take it pretty seriously and so I’m used to seeing a row of identical vessels. At Yamazaki, however, they have a bewildering array of stills in just about every shape I’ve ever seen. This allows them to make a wide range of different styles of spirit, by varying the stills used in their production. Down in the warehouse, of course, is where the magic happens. 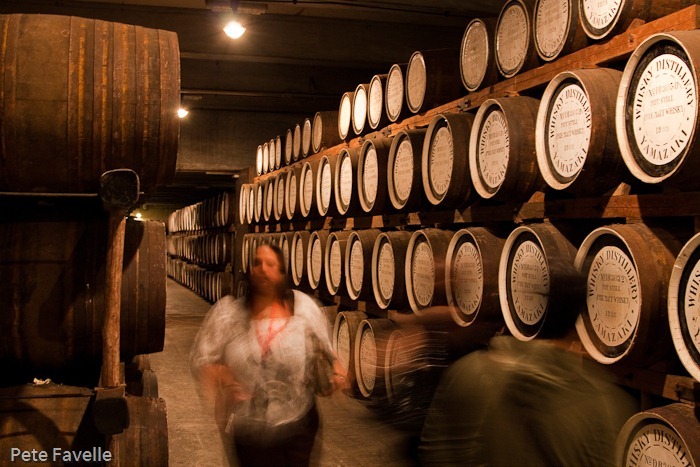 Alcohol in it’s rawest form is poured into casks and the most important element in whisky – time – is slowly added. 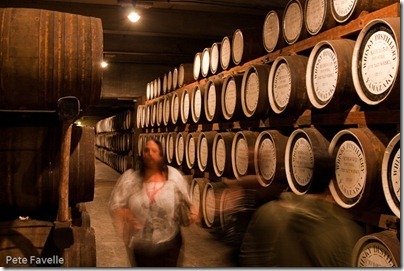 Barrels disappear into the distance, each one carefully labelled with details about when and how it was distilled. They’re even colour coded – the white barrel-ends filled with malt whisky, while black barrels indicate grain alcohol. Resisting the urge to sneak out of the door with one of the barrels, we move onto the traditional finish to a tour – the tasting hall! Three different drams are included on the tour, but many more are available in the magnificent whisky library next door – of which, more in a future post. Rather curiously, these tastes are initially presented heavily watered down with soda water – it seems to be the Japanese way of drinking whisky, but a plea to have our samples neat is quickly answered. We start with the standard Yamazaki, which carries no age statement. The nose is gentle, with sweet vanilla notes. The sweetness is foremost in the flavour too; a pleasant and very drinkable whisky, if lacking in complexity. A splash of water draws out the wood flavours more, producing a nice balancing tannin against that sweetness. Next is the Hakushu, which also has no age statement. 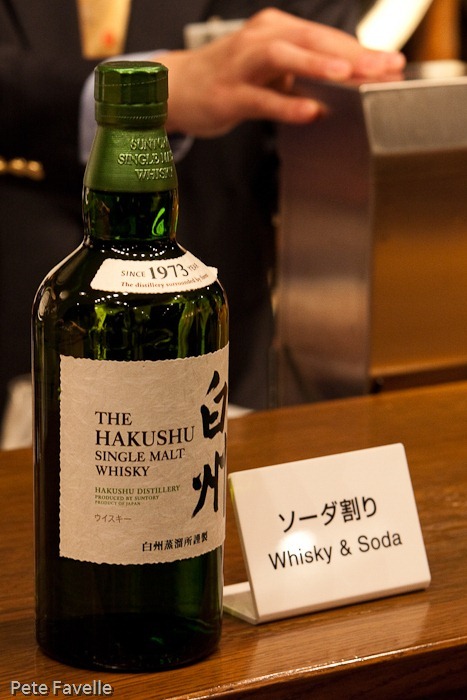 Hakushu is actually Suntory’s other distillery which is where this whisky is made, but I suppose it makes sense for them to showcase their whole range. It’s a curious one, as it has a delicious honey sweetness, but there’s a significant background of raw grain alcohol. Water cuts down the grain quite a lot, but then you’re left with a slightly bland dram. I suspect that there’s some pretty young spirit in this; it’s interesting, and nice to taste a Hakushu bottling that I haven’t come across in the UK. 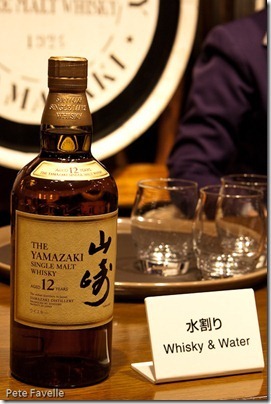 Lastly, we reach the Yamazaki 12 Year Old. The oak barrel is strongly present in the nose, along with an almost malty sweetness. In the mouth there’s more of that wood, an undercurrent of alcohol, charcoal and also some dark honey sweetness which leads deliciously into a dry, tannin-filled finish. Water cuts back those wood notes; it’s still deep with sweet alcohol and charcoal but the finish is less pronounced. Better neat, but pretty damn tasty either way! 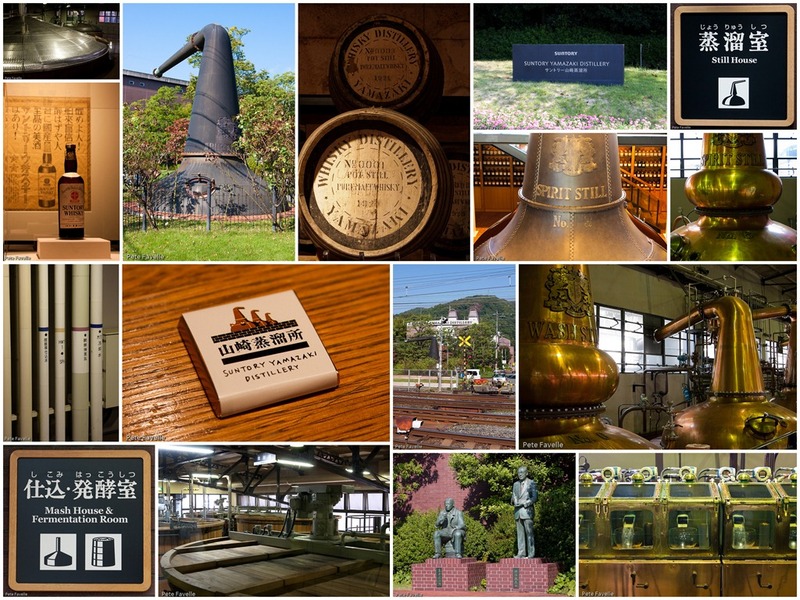 The tour (and tasting) is free, but needs to be booked in advance by phone – further details can be found on the Yamazaki distillery site. Thanks for this preview! 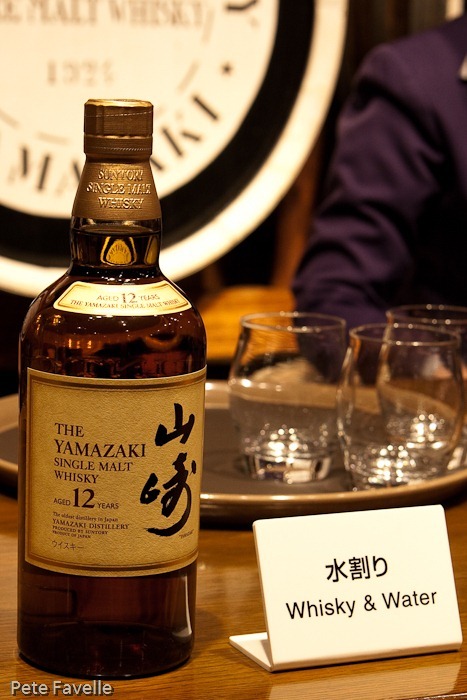 My first experience with Suntory Whisky came in a glass that was 75% filled with water – yeccch! Other times, I get this massive ball of ice in my glass, which is some kind of tribute to special ice and historic ice (I read this on the Y. website). Glad to know what’s offered on the tour, and am looking for Y. 25 while here in-country. Hope I find it!